I still remember the first time she walked. The first time I held her hand as she tottered along with jelly legs. My daughter’s floppy muscles meant she was three and a half before this happened. Her rare syndrome means that her muscles will always be weak and she will always tire quickly. But my daughter’s determination means that she’ll damn well always do her best. And today we saw her bright, shining best. Today, she walked six miles. Whatever you do, though, don’t tell her that. 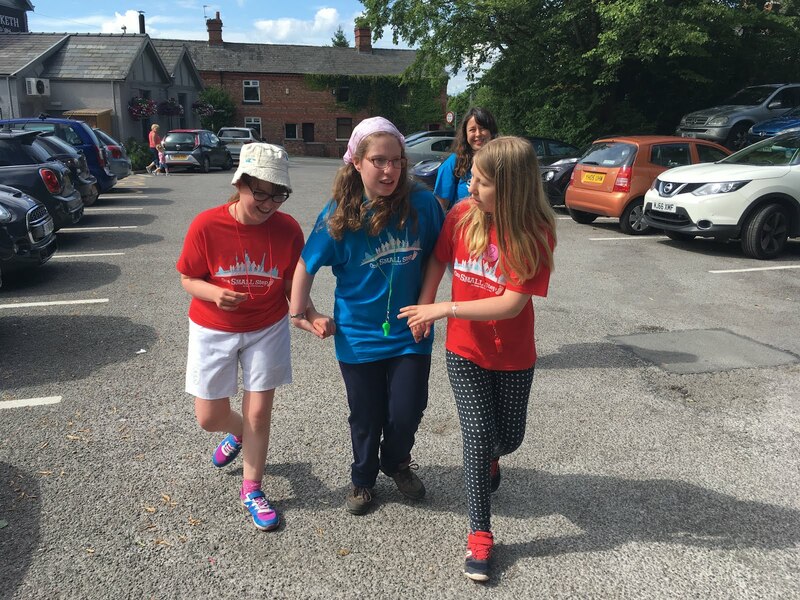 We were up in the Stockport area of Oop North, taking part in The One Small Step charity pub walk. Organised by the incredible family and staff from Almond Family Pubs, the 12.5 mile walk (taking in five hostelries) was in aid of the Foundation for Prader Willi Research UK (FPWR UK). It’s a charity close to their hearts, as family member little Bella has the syndrome. It took a bit of logistical shenanigans. We were meeting up with two of my girl’s fellow Prader-Willi buddies, who were doing different distances. My girl had agreed to do her absolute maximum of four miles (which she managed once on a walk with school, and which pretty much wiped her out). However, we threw caution to the wind, stretched the truth a little, and decided to do six miles, and tell her it was four. Don’t judge me. The slightly complicated plan involved meeting Buddy One (whose birthday it was), and Buddy Two at two different pubs, a refuelling meal, wee breaks, and well-timed snack stops. Rain was forecast, but it stayed away, and the sun came out. And the trio were amazing. 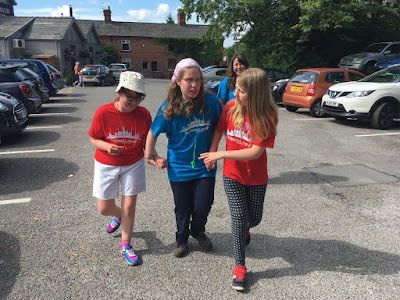 With no moaning, stubborn determination, and a chitter load of chat, they walked along roads, through woods, by streams, up a hill or three, down some muddy steps, and over the finish line. 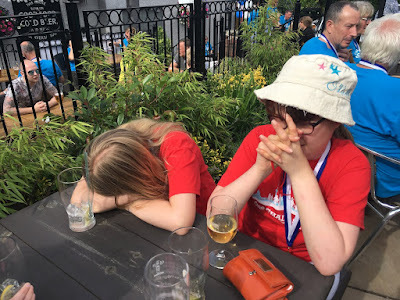 A packed pub garden full of walkers clapped and cheered them over. 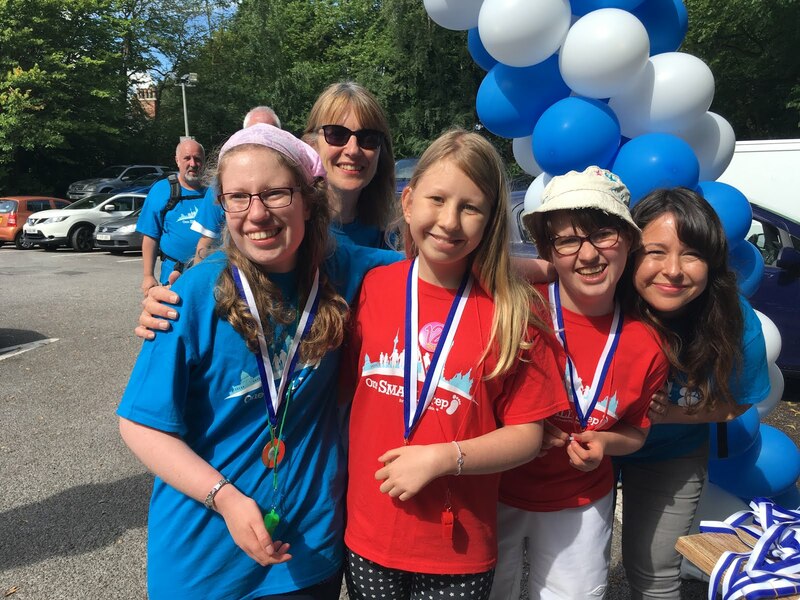 They clutched their medals with pride. I marvelled at my girl, like I do, a lot, only this was one of those especially marvellous moments. They were shattered. My girl had a ladybeer (her name for a shandy), and Buddy One had a sleep on the picnic table. They looked like the last two drunks left at the bar on a Saturday night. (A position I would have glad to take on for real, only I was driving). We disappeared off for Buddy One’s birthday tea. Raised anxiety levels due to their exhaustion led to a small chain reaction of mini meltdowns during the meal-ordering process (including my daughter’s utter incomprehension that we had found an Indian restaurant that DIDN’T do poppadoms). But once grub arrived and was demolished, equilibrium and smiles returned. I kind of tested the waters about the distance. “I think you might have managed a little bit more than four miles...” I began. Yes, today a miracle happened. My girl walked six miles. And somehow two of them have disappeared. Keep schtum, OK? Song is Some Kind of Wonderful by Soul Brothers Six. Sorry, Soul Brothers Four. FOUR. Thank you to everyone who has sponsored us. If you fancy forking out a couple of quid, our Just Giving Page is here. The Fidget Cube craze has infected my daughter. If you don’t know what one is, it’s pretty much what it says on the packet - a cube you fidget with. Launched last year on the crowd-funding site Kickstarter, it’s a small plastic cube with various clickers, switches and dials, designed for fidgety people - particular those on the autistic spectrum - to self sooth with. The highly contagious craze (and its literal spin-off Fidget Spinners) soon spread from playground to playground. At some point soon, of course, the little anti-stress toys will go to the great toy fad graveyard in the sky, nestling amongst the dusty piles of Loom Bands, Tamagotchis, Pogs, and - one the for the older readers - Weebles. 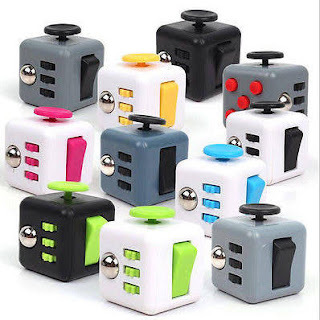 These type of crazes are usually faddy, plastic bits of junk, but because people with Prader-Willi Syndrome have a tendency to skin-pick, and/or in my daughter’s case, rub her fingers and wring her hands together, I thought a Fidget Cube might actually prove useful. Josie has had various ‘fiddlers’ over the years (the longest serving type being whistle strings), but she soon had one of these clicky things on her wishlist. I ordered it from the internet. And that was when the problems began. First, the expected delivery date kept changing. I began to suspect it was on a slow container ship from China. I assured her that it was probably just a version made by a different company, and got myself in terrible tangles trying to explain the concept of a generic toy, as opposed to a knock-off one. After a day or two of wrangling and circular conversations, she was finally able to show me that two of the buttons that were supposed to be silent made a click when you pressed them. This, apparently, was not right. That was about the strength of it. I gave in. Spending a tenner, rather than £55 quid, obviously, I ordered an original cube from nominatively deterministic makers Antsy Labs. It came. It was the correct one, I assured her. But, apparently, it wasn’t. “This isn’t a real one because it’s too small.” It wasn’t too small. “It should be the same size as the fake one.” It was. “You need to order another one.” I didn’t. The issue is ongoing. And yes, I do appreciate the irony of all the anxiety caused by an anti-anxiety toy. 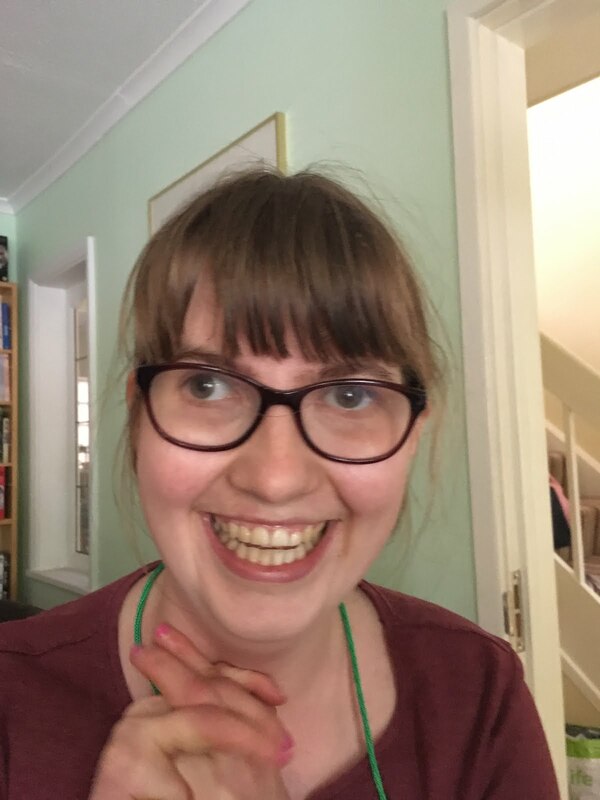 This post first appeared in the latest edition of PWS News, the newsletter of the Prader-Willi Syndrome Association UK. They have a very informative website here. “I beg your pardon?” I spluttered, my eyebrows raised in shock, as my daughter is usually quite prudish about swearing. This was not as deeply inappropriate as it sounded, just grammatically confusing, so I decided to roll with it. “Oh yes?” By this point, my husband - making a cup and tea and standing in the kitchen with his back to us - made a strangled, spluttering noise, and gripped the worktop as he tried his utmost not to collapse.